It's the mid-19th Century and diseases are spreading fast on the Iberian Peninsula. Your mission? As members of The Second Royal Philanthropic Expedition, you must research four deadly diseases: malaria, typhus, cholera, and yellow fever. From Barcelona to Lisboa, you will travel by carriage, boat, and train to help the Iberian populace. In addition to treating patients and sharing your research, you will develop railways and purify water to help you contain the spread of disease. Outbreaks and epidemics spread the diseases at an alarming rate. Can you save humanity? 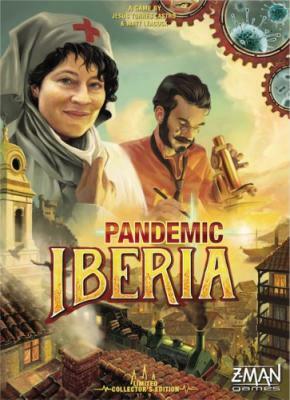 Explore the Iberian Peninsula with new and classic Pandemic gameplay.